FINRA CEO Richard Ketchum talked at the regulator's conference about what's wrong with the DOL plan and offered an alternative approach to putting customers first. Just as President Barack Obama’s economic policy director, Jeffrey Zients, urged advisors and industry officials Wednesday to provide the Department of Labor with feedback on its plan to revise the definition of fiduciary on retirement accounts, critics of the plan complained the current plan is a costly compliance nightmare that needs work. “Any advisor acting in their clients’ best interest should support this [DOL] rulemaking and work with us to get it right,” Zients told attendees at an event held by the Bipartisan Policy Center in Washington titled “Champions, Critics and Consequences of a New Fiduciary Standard.” Zients, director of the National Economic Council, added that not passing some type of DOL fiduciary revamp rule “is not an acceptable outcome,” and asked that industry stakeholders continue to be a “constructive” part of the process. 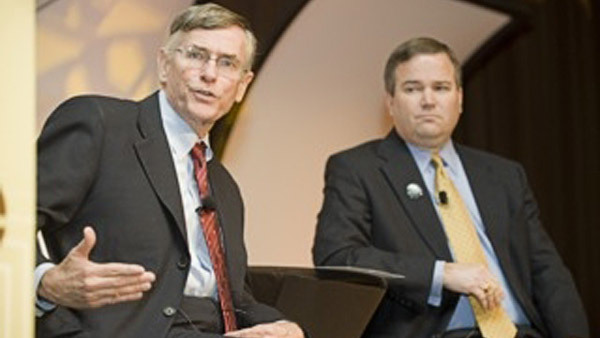 Richard Ketchum, chairman and CEO of the Financial Industry Regulatory Authority, devoted his entire opening remarks at FINRA’s annual conference, held the same day in Washington, to criticizing DOL’s plan. He offered an alternative approach to move a best interest of the customer standard forward. Bowing to pressure from lawmakers and industry trade groups, DOL said in mid-May that it would extend the 75-day comment period on its Conflicts of Interest proposal by 15 days to 90 days, with the department anticipating a total of 140 days for public comments. The four-month comment period, Zients said Wednesday, provides “more than ample time” to weigh in. But a panel of industry officials who spoke after Zients’ remarks debated exactly how the BICE works. Sameera Fazili, former senior policy advisor on the National Economic Council, who sat on the panel, stated that the DOL’s redraft attempts to create “a level playing field” so that investors “don’t have to worry that the person [they’ve] hired will put their best interest first,” as “it’s well-documented” that people are “confused” by advisor and broker regulatory standards. “We just need rules of the road so the best advice can win out,” she said. While Fazili stated that BICE “is quite simple,” as it requires an advisor/broker to “make a promise that you’re putting your clients first,”other panelists noted the BICE standard is confusing, particularly as to when a customer must sign it. “BICE requires that you agree to act in the [client’s] best interest [and] have policies and procedures” in place, but “the [BICE] contract itself has its own problems; you have to have it signed before you have a conversation with someone,” said Felicia Smith, vice president and senior counsel for regulatory affairs at the Financial Services Roundtable. W. Mark Smith, a partner at Sutherland Asbill & Brennan, who specializes in the Employee Retirement Income Security Act, stated that BICE takes “400 columns” in the Federal Register to explain, adding that it will amount to a technology and compliance burden, noting that in some cases “six types of disclosures” are required under it. He advocated once again for requiring broker-dealers to provide customers a Form ADV-like document annually that provides clear, plain English descriptions of the conflicts they may have and an explanation of all product and administrative fees. Rather, he said, “It’s how you do it.” SIFMA believes DOL’s proposal “goes far beyond such a standard to limit choice and raise costs, unnecessarily so in our opinion,” he continued. “Equally troubling is that this experience underscores a failure in the public policy market place. Rather than adopting a policy prerogative that will apply across the entire retail marketplace, we are headed in a direction of bifurcated rules, compliance and disclosure regimes imposed on the same market participants from different regulators,” the DOL and the Securities and Exchange Commission.